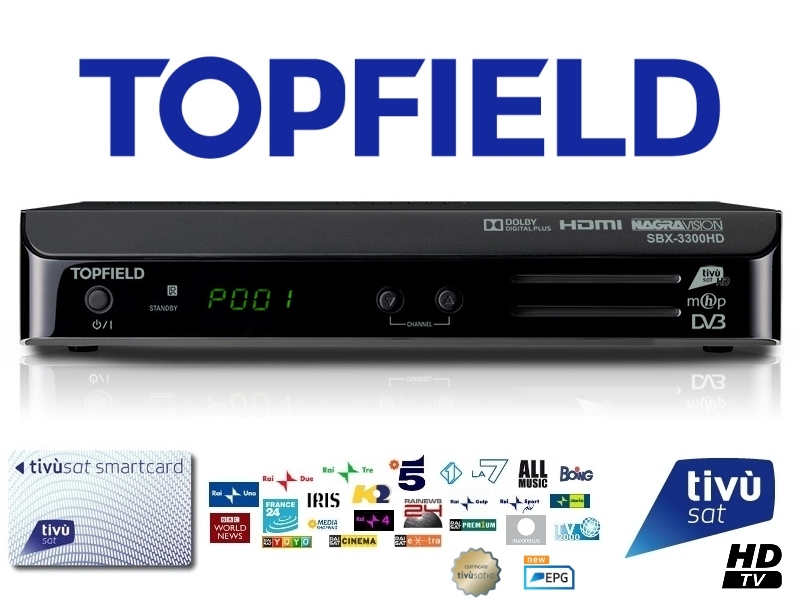 With this official Tivu licenced Topfield SBX-3300 HD Tivusat HD satellite receiver and card package you can be up and running with all your favourite Italian national television channels in just minutes. Connect this easy to use high definition decoder to your dish pointed at Hotbird satellite at 13 degrees East and you're ready to go. 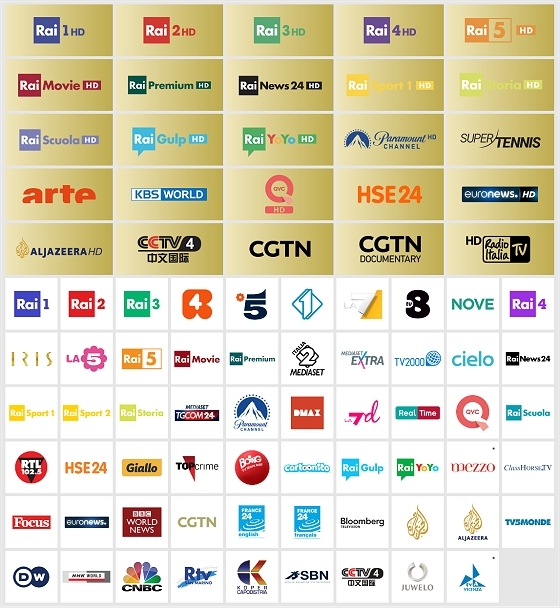 TivuSat HD consists of over 80 superb subscription free Italian TV channels including Rai HD, Rai Uno, Rai Due, Rai Tre, Rete 4, Canale 5, Italia 1, LA7, Iris, Rai Sport and Rai Sat Cinema as well as over 30 Italian radio channels. No more loss of viewing on Canale 5. With TivuSat encryption blackouts due to programming rights issues are no longer an issue. Every programming genre including movies, sport, lifestyle, general entertainment, the arts, music, drama is covered with this package of channels. This superb package includes the official Humax Tivusat HD set top box and Tivu subscription free smartcard which will receive all scrambled TivuSat channels as well as many more free to air channels available on the Hotbird satellite. 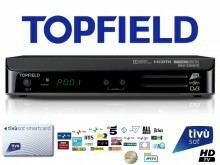 Click the button below to add the Tivusat Topfield SBX-3300HD Official Italian Receiver and Card to your wish list.